Director Bong Joon-ho turns conventional themes of predestination and socio-economic disparity on their side. Where many political films express economic dichotomy vertically as a bottom to top comparison–think Metropolis or last year’s Elysium— Snowpiercer portrays this horizontally as a group of rebels push forward from the tail to the engine. 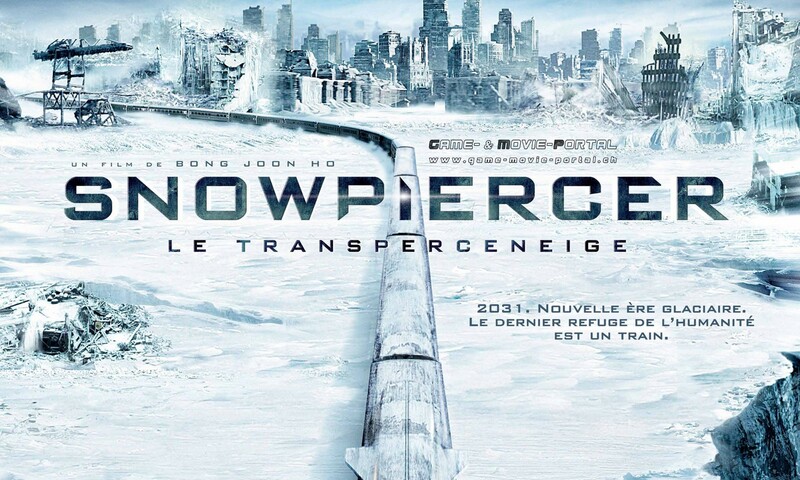 In 2014, after evasive tactics to fight climate change provoked an unanticipated ice age, the last surviving humans inhabit the Snowpiercer, a massive, world-traversing, self-sustaining train that plows through snow banks with relative ease. The poor inhabit the “tail,” the very last car, which is a slum consisting of close living quarters, where residents eat rectangular blocks of protein. The upper-class have a series of cars for food production, classrooms, and various lounges. Slum resident Curtis (Chris Evans) is rounding up interest to launch another revolt based on the hunch that the soldiers may have run out of bullets after the previous revolt, but his reluctance to lead continuously dissipates the lower-classes’ interest in rising up. With the rise of fantasy-based science fiction films flooding theaters in the last decade or so, Snowpiercer could look just like any other film. It closely follows the hero’s journey, with clearly defined archetypes and unmistakable stages. Even the film’s themes are predictable and expressed in a conventional fashion with a rhythmic pacing featuring the appropriate crests and troughs. When all that is placed aside, Snowpiercer is a fascinating film whose setting is wholly original as the last living beings battle for economic worthiness on a self-sustaining vessel. While the film seems like it might be a straight-shooting, gritty science fiction action-thriller with no sense of humor, there’s a healthy amount of homages, references, and parody that accentuate the sharp but subversive idealism. Gilliam (John Hurt) plays an elderly oracle with wisdom and guidance for the oppressed. This character evokes the influential director Terry Gilliam, whose influential science fiction films were filled with imagination and fantasy, but also featured gritty and hyper-realist sets, bordering on steam punk aesthetics. It’s not only references such as Gilliam that make Snowpiercer so smart and sharp, but Tilda Swinton as Mason, a megaphone shouting dictator with protruding teeth whose looks are not far off from the late Kim Jong-il. What is socio-economics without violence and drugs? Snowpiercer has both. Except guns are often times rendered meaningless with the rumor of a scarcity of bullets, a concept that reminds me of some insightful inferences on gun control from Chris Rock. The sole drug on board the train is Kronol, a hallucinogen that the rebels use to coerce the addicted Namgoong Minsu, the train’s original door engineer, to open each door of the train. The drug also doubles as an explosive, which in most cases would be all too convenient of a plot device: however, with the aforementioned parodistic aspects in place, the explosive nature of Kronol complements the referential nature of the film. Director Bong Joon-ho is mostly known for his nearly dozen South Korean smash-hits such as The Host (2006) and Mother (2009). Joon Ho along with several other South Korean directors are part of a South Korean wave that has swept through American film production in the last couple of years. I wrote about this wave in an essay from last year, where films like The Last Stand and Stoker were strong debuts for these South Korean filmmakers to infiltrate Hollywood. Snowpiercer has only landed on American shores quite some time after its international release, as a dispute between Bong and The Weinstein Company has kept Bong’s artistic interests suppressed. Although anyone with elementary internet research skills would have seen that train wreck coming from far away. 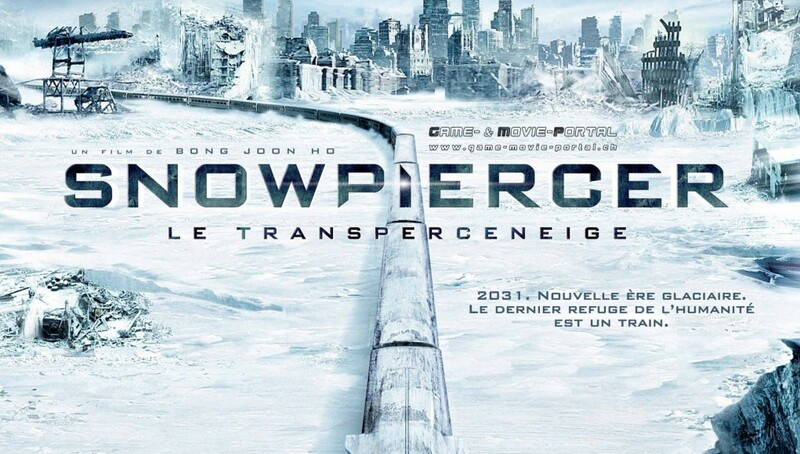 With the dispute now placated, the theatrical version of Snowpiercer in America is a strong, smart, and effective hard science fiction film with recognizable tropes in a fresh setting.